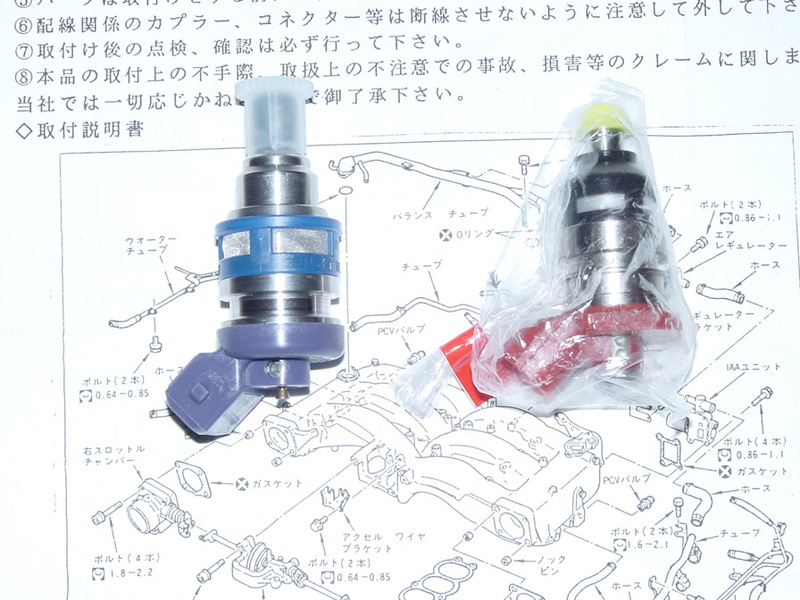 Stock injectors for VG30DETT is top feed 370cc. At 3 bar fuel pressure, they max out around 350rwhp or 400bhp. More power might be realized by raising fuel pressure. 555cc injectors are good for 500-530rwhp safely at stock fuel pressure. 720cc and 740cc are good for 700+rwhp. Nissmo no longer makes 720cc. 740cc injectors will fit on 94+ Zs. Another alternative is Border 850cc fuel kit. Good for 800+rwhp. Comes with billet fuel rail and fittings. I personally wound not recommend RC engineering's bored out injectors. They have been known to leak under raised fuel pressure. Besides, I wouldn't push/bore the stock 370cc too far. Stock fuel line/pump is good for 600rwhp. To achieve more hp, both will need to be changed. Stock TT fuel pump is rated 255ltr/hr. How big of a fuel pump do you need? Finally, as fuel pressure increases, fuel pump flow rate decrease for most pumps. It's a linear decrease. The rate depends on the specific pump. Test results have shown, stock Z32TT fuel pump can flow enough for 700+hp at 14volt. However the flow rate drops off at higher pressure. 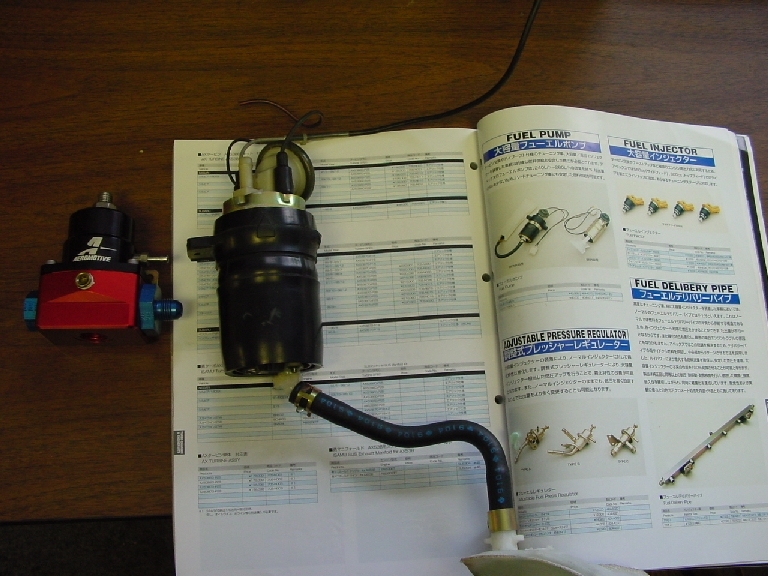 If you are running close to 700hp or more at higher boost level, it's probably safe to upgrade your fuel pump. There's no known single intank fuel pump that flows significantly more than stock Z32TT pump. The Skyline R32 and R33 pump are still rated 255 ltr/hr. Same as stock pump. Probably not worth doing the swap. If you want to keep the noise level down, there're Walbro 190ltr/hr (200 series), 255ltr/hr pumps (300 series) and 255ltr/hr hi pressure pumps (340 series). They are compact enough that you can put two of them in the tank. It will require some fabrication work. But it can be done. There're aftermarket external pumps that flow more than 1000hp at high pressure level. For the lack of test data and feeback, I'll only talk about the Weldon pumps here. Weldon 2015A and 2025A will probably flow enough fuel for any applications. 2035A is not a continueous duty pump. It is not suitable to use on the street or road course. Another route is using twin inline Bosch pumps which is my fuel setup. Bosch pumps are physically bigger than Walbro 300 series pumps, the reason that the Bosch pumps don't drop off much at high pressure level unlike most other fuel pumps.